Among the best-represented authors in Samuel Beckett's library was Ludwig Wittgenstein, yet the philosopher's relevance to the Nobel laureate's work is scarcely acknowledged and seldom elucidated. Beckett after Wittgenstein is the first book to examine Beckett's formative encounters with, and profound affinities to, Wittgenstein's thought, style, and character. While a number of influential critics, including the philosopher Alain Badiou, have discerned a transition in Beckett's work beginning in the late 1950s, Furlani is the first to identify and clarify how this change occurs in conjunction with the writer's sustained engagement with Wittgenstein's thought on, for example, language, cognition, subjectivity, alterity, temporality, belief, hermeneutics, logic, and perception. 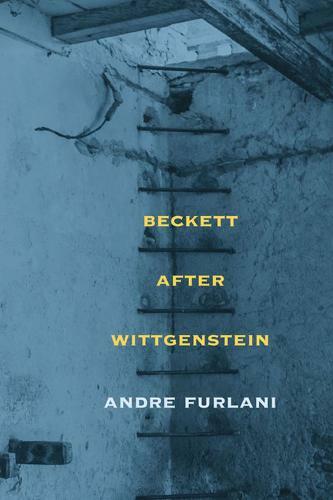 Drawing on a wealth of Beckett's archival materials, much of it unpublished, Furlani's study reveals the extent to which Wittgenstein fostered Beckett's views and emboldened his purposes.